Janet Yellen knows what you’re thinking, Jeb Hensarling and other Republican members of Congress: Yes, that is her name on the list of Federal Reserve staffers who chatted with research firm Medley Global Advisors before said firm offered some choice confidential information to its paying clients about the September 2012 FOMC meeting. But before you start drafting articles of impeachment, she’d like to make two points: You should let the U.S. Attorney’s office draft an indictment first and, OH YEA SHE COULDN’T HAVE BEEN THE LEAKER ANYWAY. So there, jerks. “Nothing Medley Global Advisors reported in October about the events of the September 2012 F.O.M.C. 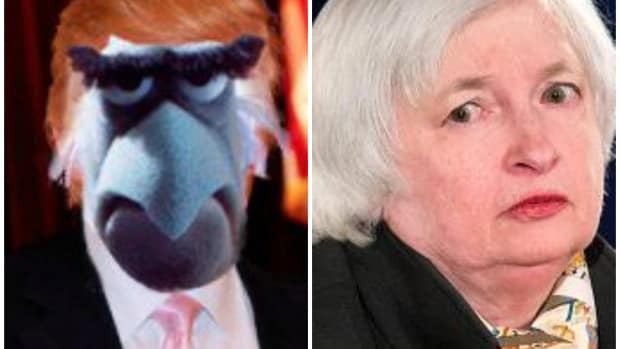 meeting could have been conveyed in June, and let me assure you that, in any case, I did not convey any confidential information,” she wrote in the letter, which was posted on the Fed’s website Monday evening. She has no sense of "Boricua."